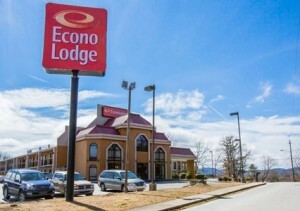 Have a great stay at the Econo Lodge® hotel in Hendersonville, NC! This is a Hendersonville discount hotel near the Blue Ridge Mall, Elijah Mountain Gem Mine and the Carl Sandburg Home National Historic Site. Our convenient location at the intersection of Interstate 26 and Highway 64 makes this discount hotel in Hendersonville your ideal lodging choice. We give you easy access to the area’s top attractions, including the Henderson Heritage Museum and the Mineral & Lapidary Museum. We invite you to relax in your guest room, which features a TV, coffee maker and hair dryer. Enjoy the combination of cozy accommodations, friendly service, wonderful amenities and discount rates at the Econo Lodge hotel in Hendersonville, NC. Book now – we look forward to hosting you soon!